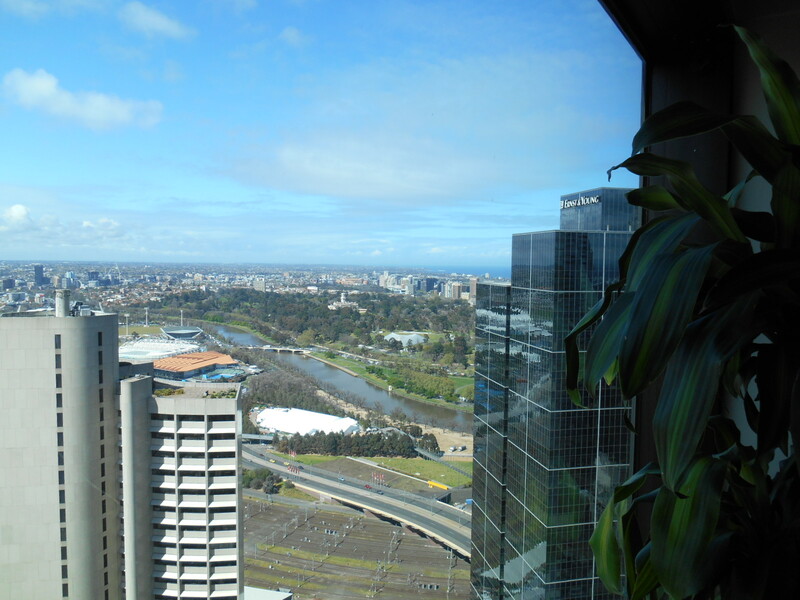 ADVENTURE to historic high places of Melbourne, often by mysterious access routes, to discover hidden places, forgotten stories and rare views from high places such as atriums, art deco buildings, galleries, car parks, attic studios, hotels, rooftop bars, office blocks – or wherever we can get to on the day. EXPERIENCE views that tell iconic stories about Melbourne’s history and culture including highs and lows of morality, wealth, power, class, geography, technology and our Indigenous past. We use birds-eye images by artists as far back as 1837 to illustrate these stories. TRAVEL from Melbourne’s former slum and theatre district to the warehouse precinct to the fashion and commercial precincts. Investigate historic technologies of overcoming height e.g steps, trams, stairwells, winches, fire-escapes, hydraulic lifts, escalators and super lifts – whatever it takes. VIEW Melbourne heritage skysigns as well as the heritage and architecture of iconic Melbourne buildings. Sometimes we try resolve an unsolved crime or two on the way! CONSIDERATIONS Average fitness, capacity to climb some stairs, and tolerance to lifts is required. 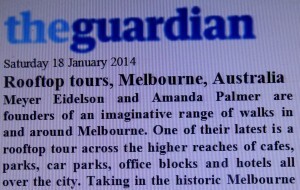 This tour, not surprisingly, may not be suitable for height sensitive people. Regrettably this tour is not wheelchair accessible. MEETING POINT: SW corner Bourke and Spring Street. WHEN: The tour runs by arrangement Mondays to Fridays during the day. SOME PLACES ON ROUTE DEPENDING ON THE DAY. The Lyceum Club, built between 1957-59, is of State significance for its historical, social and architectural values.Historically, the Lyceum Club is important as a possibly unique example of a purpose-built building, created by and for women. Importantly, the 1957 building commission and all subsequent alterations and additions, have involved local women architects from the original design and construction by Ellison Harvie, to subsequent work by Hilary Lewis, Jessie Madsen, Berenice Harris, and Cunningham & Keddie. Other notable local women professionals who have contributed to the building include artists Anne Montgomery (mural painting) and Bee Taplin (textiles), interior decorator Joyce Godfrey (club rooms and lounge), and landscape designer Millie Gibson. This tradition of continuous and almost exclusively female design input on the one project, over a sustained period, has few precedents. The building was designed by Ellison Harvie who was a member of the Club, a partner in the firm of Stephenson & Turner, and amongst the most notable pioneer woman architects in Victoria. She was the first pupil articled to Arthur Stephenson in 1921, the first woman to gain a Diploma of Architectural Design from the Architectural Atelier in 1938 and the first Australian woman to be nominated as a Fellow of the RIBA in 1949. Her work within the firm of Stephenson & Turner contributed to the design of numerous major hospitals in Sydney and Melbourne, including the Royal Melbourne Hospital in 1942 which confirmed her position as one of the most notable Melbourne woman architects of the time. The Lyceum Club is one of only two commissions she accepted outside the Stephenson & Turner office.Socially, the Lyceum Club is significant as the largest and most important club for professional women in Victoria. It was formally established in Melbourne in 1912 to provide a place of retreat, meeting, and discussion for professional (and retired) women, accommodation to members visiting the city, as well as to pioneer a status for women within a professional sphere dominated by men. The Club’s first president was Pattie Deakin, wife of the prime minister Alfred Deakin, and many of its early members were among the first female professionals in their particular fields: Dr Constance Ellis (medicine), Christian Jollie Smith (law), and Marion Mahoney Griffin (architecture). As a result of bequests and member donations, the Lyceum Club houses an important collection of furniture, artwork and reference books.Architecturally, the building is typical of a late 1950s internationalist aesthetic which figures the first floor as a rectangular box cantilevered over its supporting base. At the time, this was an unusual typology for a city club building. The building is also a relatively intact example of 1950s domestic architecture in its scale, material selection, planning, and detailing. Since 1959, the building has undergone numerous alterations, the most notable being the addition of a seminar room to the second-storey in 1981 which compromises the clarity of the original composition. Internally however, the building retains many original finishes and fittings, for example limed timber paneling, monogrammed door knobs, spun aluminum light fittings and acoustic tiling. The Melbourne Club was established in 1838. The present three storey brick and stucco structure with basement is the third clubhouse and the first on this site. It was erected in 1858-59 by Messrs. Lincare to designs by Leonard Terry. The main dining room wing with its canted bay to the street was added in 1883 (Architects: Terry and Oakden) and is the most notable of several later additions and alterations. 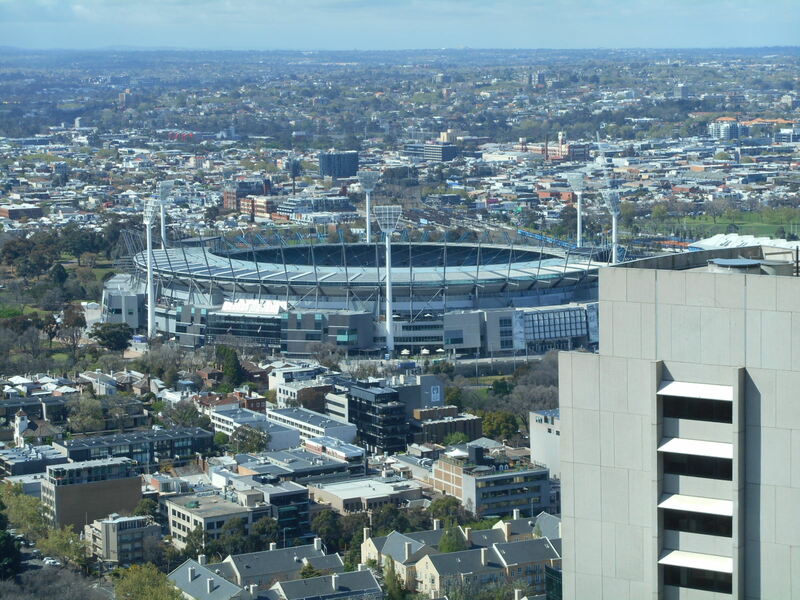 The Melbourne Club is Victoria ‘s oldest institution and its membership has included many notable Australians. The present stately Collins Street club-house resembles its contemporaty London equivalents and epitomizes the conservative classical style of Leonard Terry. The unique verandah and superb rear garden are highly important features. The interior is basically intact and reflects the original light, austere appearance shown in early photographs. The staircase and dining room are among the notable interiors. The club is in a good condition and well maintained. Of national significance. 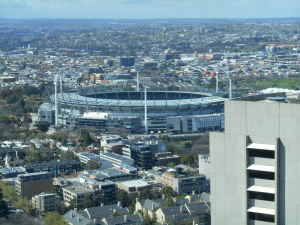 Founded in 1838, the Melbourne Club is the oldest club in Victoria and probably the State’s oldest secular institution. The founding members were squatters, civil servants, judges, professional men and merchants. While some were gentlemen by birth, the majority were accounted gentlemen in taste, manners and habits. In 1839 it leased Fawkner’s Hotel (corner of Market and Collins streets), before moving to the corner of William and Bourke streets in 1841. In 1859 it moved to its present site (36 Collins Street) where Leonard Terry designed a handsome building in the Italian style. Long after the gold era the Club remained a stronghold of pioneer families. Socially it constituted the supreme body of Victorian society. Members of established families joined it as a matter of course, and newer families marked their arrival in society when they appeared on its list. Since the 1970s the list has broadened. Many candidates are first-generation members, while many old families through extinction, lack of money or interest no longer belong. The behaviour of the first members was sometimes spirited, with duels fought, horsewhipping administered, shop signs stolen. A strand of dandy behaviour may also be observed through much of the 19th century. In general the Club has grown more staid in recent times. While radicals have seen it as a symbol of inequality and capitalism, and as such it has been a focus of protest, the political power of the Club has usually been exaggerated. It is true that most members probably have been conservative or liberal, but real power, even during conservative governments, has usually been exercised by men with little interest in clubland. Spring Street’s Windsor Hotel was the first of the late 19th-century series of international grand European hotels that include Raffles, the Ritz and the Savoy, and is the last of its kind in Australia. 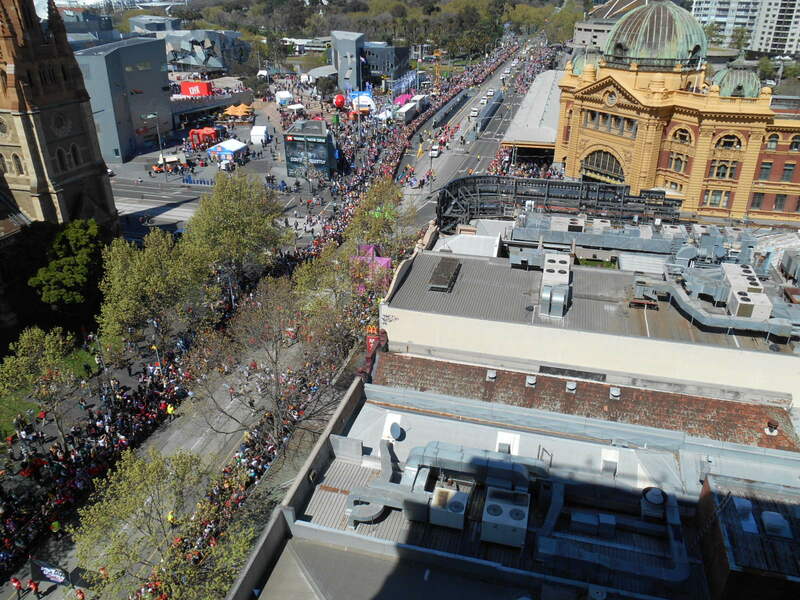 During its long history the Windsor has played host to politicians, actors, writers, speakers, people with money and people without, and it remains a magnificent reminder of the Marvellous Melbourne era. Constructed in 1883 for wealthy businessman George Nipper, to a design by Charles Webb, the Renaissance Revival-style building was extended north in 1888 after it had been bought by James Munro. It opened as the Grand Coffee Palace but temperance turned out to be an unprofitable ideal and it became a licensed Grand Hotel in 1897. 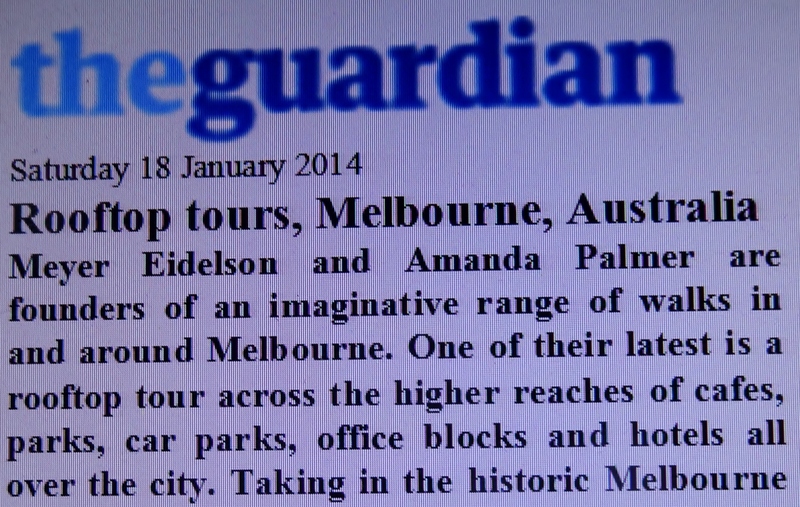 Its proximity to Parliament House has led to a long association with Australian politics. In 1898 the Federal Constitution was drafted in the hotel and later Prime Minister Sir Robert Menzies and his wife, Dame Pattie, made the Windsor their Melbourne home. Other well known guests have included Nellie Stewart, Laurence Olivier and Vivien Leigh, Vincent Price, Anthony Hopkins, Gregory Peck, and a number of English cricket teams. In 1920 Sydney property developer Sir Arthur Rickard’s Melbourne Hotels Ltd purchased both the Grand and the neighbouring Old White Hart hotels. The Grand was internally renovated and renamed the Windsor. Between 1957 and 1963 the lobby and the north end of the hotel was restructured by Harry Norris to allow for the north-wing addition. In 1976 the Hamer State Government purchased the Windsor to save the site from redevelopment. Oberoi International became the operators in 1980 and, having spent some $8 million restoring the hotel in time for its centenary in 1983, bought the hotel in 1990. Opened as Astley’s Amphitheatre in September 1854 under the management of G.B.W. Lewis, the Princess Theatre in Spring Street hosted equestrian entertainments combining trick horse riding, circus acts and drama. Equestrianism proved unsuccessful, and with George Coppin as leaseholder, the building, known as the Royal Amphitheatre, was remodelled in 1856. Transformed into the Princess in 1857, the theatre staged some important productions but was often unused as it was so far from the railway station. In 1885 the old building was demolished and the management triumvirate of Williamson, Garner and Musgrove commissioned architect William Pitt to design a replacement, which opened in December 1886 with Nellie Stewart in The Mikado. In March 1888 Stewart took the soprano role in the production of Faust in which Federici died at the close of the performance. Notable productions towards the end of the century included Janet Achurch in Ibsen’s A doll’s house in September 1889 and the Sarah Bernhardt season in 1891. The theatre was refurbished in 1921 by architect Henry White. In 1934 F.T. Thring, whose radio station 3XY was housed in the building, produced the Australian musical comedy Collets’ Inn. Fullers and Garnet H. Carroll held the lease and freehold between 1945 and 1986, hosting visitors including the Old Vic Company with Laurence Olivier and Vivien Leigh, and the Ballet Rambert. Local talent starred in National Theatre opera, ballet and drama seasons in the 1950s. A popular season of The sound of music was presented in 1961. More recently, after extensive refurbishment by developer David Marriner, the theatre has presented big musicals such as Les miserables, Phantom of the opera and The producers. One of Melbourne’s most important business centres, Flinders Lane runs east-west from Spring to Spencer streets. The name Flinders Lane, which varied from the nomenclature of Melbourne’s other little streets, was officially gazetted in 1843. For much of its history, however, ‘Flinders Lane’ and ‘Little Flinders Street’ have both appeared on maps and business letterheads as alternative versions. Melbourne City Council street nameplates indicated ‘Little Flinders Street’ at least until the 1930s, but a council resolution in 1948 reaffirmed the official name as Flinders Lane. More generally known as simply ‘the Lane’, in its late 19th-century heyday it was renowned as the centre of Melbourne’s wholesale (and especially soft-goods) trade. The lane, as laid down in Hoddle’s 1837 grid, roughly followed the course of one of the settlement’s first rough tracks. Through the 1840s it was notorious as an often muddy, rutted and scarcely passable passage. 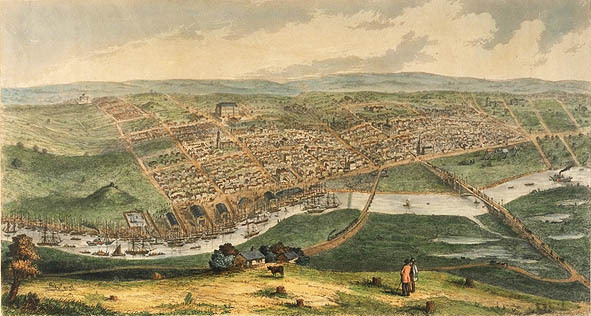 By the 1860s, as its swamps were filled in, and as its proximity to the wharf encouraged the construction of warehouses and showrooms, the street gained a reputation as a busy and important thoroughfare, the chosen location of mercantile houses, importers, brewers, timber yards and wholesalers. As one of the city’s narrowest streets, Flinders Lane and its network of side lanes and alleys bustled with traffic and were commonly congested with travellers’ buggies backed into shops, or by the lifting or lowering of boxes, sacks and other heavy goods. Most of its bluestone warehouses have now been demolished, some replaced by hotels or carparks. They were exemplified by the New Zealand Loan Woolstore, built in 1882 at 546 Flinders Lane, backing the firm’s offices on Collins Street. The imposing six-storey warehouse section had massive load-bearing walls, floor-to-floor bale chutes and a sawtooth glazed clear span roof. By the 1890s Flinders Lane’s palatial emporiums and multi-storey warehouses gave it a canyon-like appearance, and some of its well-known premises included the warehouses and factories of the Denton Hat Mills, Beath, Schiess & Co. (clothing), W. McNaughton, Love & Co. (soft goods), Borsdorff & Co. (corsets and hosiery), W. Detmold (stationer), Melbourne Chilled Butter & Produce Co. Ltd, Felton, Grimwade & Co. (wholesale druggists and manufacturers), Sargood’s, and Paterson, Laing & Bruce. From Spring to Queen streets, clothing warehouses, manufacturers, mill suppliers, button-and belt-makers, and clothes designers made the lane the centre of fashion, an industry pioneered by Jewish immigrant families such as Slutzkin, Blashki, Merkel, Haskin, Mollard and Trevaskis. In the 1920s, the growth of specialty houses saw retailers increasingly importing their own goods. Property values rose as ground floor frontages were given over to shops (costumier, tailoring, luxury goods), with soft-goods merchants retreating to the upper floors. Problems with space and parking forced the rag trade into decline from the 1960s. The former Port Authority Building (1929) at the corner of Market Street is a link to the area’s maritime and mercantile past, while the old Western Market boasted great low colonnaded façades with remarkable bluestone catacombs, once entered from the lane. The Nicholas Building is of architectural significance as an outstanding and imposing example of the grand commercial palazzo of the 1920s. It is an important example of the work of Harry Norris, one of the leading commercial architects in Melbourne between the wars. Norris was perhaps one of the greatest exponents of faience in Melbourne, and his extensive use of innovative Wunderlich terracotta tiles to clad the facades at the Nicholas Building is of special significance. The Nicholas Building is of architectural significance for its largely intact interiors which provide excellent examples of 1920s shop and office decoration. Of particular note is the street level arcade, with dome and fanlights, reportedly the only remaining example of lead-light roofed and fan-lighted arcade in Melbourne. The shop fronts, particularly at first floor level, are largely intact and also of great importance. The Nicholas Building is of historical significance for its associations with the wealthy businessman, Alfred Nicholas, co-founder of the Nicholas Company which developed the famous Aspro formula. Harry Norris also designed Burnham Beeches, Sassafras, 1930-33 (VHR H0868) for Alfred Nicholas. The Nicholas Building is of historical and architectural significance as a reminder of a mid-rise scale of the CBD before the 1950s when only decorative towers went above the 132 foot height limit. It is one of at least 30 outstanding ‘limit-height’ buildings built while it was in force between 1916 and 1957, some examples included in the Victorian Heritage Register include the Capitol House, 1924 (VHR H0471); Myer Emporium, 1933 (VHR H2100); and the Port Authority Building, 1929-30 (VHR H0965). The Nicholas Building was originally used as offices and currently accommodates many art studios and at three galleries on the 2nd, 7th and 8th floors. . Melbourne’s last glazed leadlight barrel-vaulted ceiling. 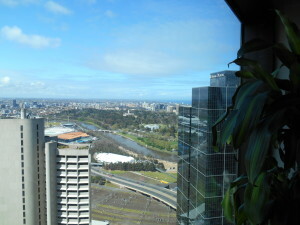 Architecturally significant as the tallest building in Melbourne when it was completed in 1932. The architectural styling, with its soaring vertical emphasis, was a daring break from the conservative palazzo architecture of the 1920s, which was typified by large and dominant cornices. The styling was complemented by the fashionable cladding material of glazed terra cotta faience. The modern commercial Gothic style of the Manchester Unity Building stands in contrast to the ecclesiastical Gothic of nearby St Paul?s Cathedral. The building is architecturally significant as the greatest achievement of noted architect Marcus Barlow. The Manchester Unity Building is historically significant as the initiative that convinced Melbournians that the building slump caused by the Depression was almost over, such was the grand scale of the project and the speed at which building progressed. The fast building programme was controlled by the use of a works progress schedule, an innovation to the local building industry at the time. The Manchester Unity Building is socially significant as a landmark in both positioning and scale. It challenges, for scale and presence, the Melbourne Town Hall located opposite. The Manchester Unity Building is technically significant for the surviving original Otis-Waygood escalator between the ground floor lobby and mezzanine. The Manchester Unity Building was the first in Victoria to have escalators installed. The Manchester Unity Building is aesthetically significant for its intact interiors. The intricate plaster panel cornices and ceilings, the use of marble, and the inlays to the lift cars and sliced timber veneers in the boardroom all display a high standard of artistic workmanship that is without par for a building of this period. The boardroom table and chairs are historically and aesthetically significant. The survival of a boardroom table of this scale and grandeur from this period, complete with chairs, is unusual in Victoria. They formed part of the total design for the building. On the rooftop is located the attic photographic studio built in timber and created between c1895-1897. This was the home of the Salvation Armys Limelight Department, who used the attic for producing and colouring lantern slides and photographs. On one wall are stencilled the words Coloring Studio. The attic was the location for the production of the 1900 multi-media presentation entitled Soldiers of the Cross. Soldiers of the Cross was a production that ran for about two and a half hours, used 200 lantern slides and about 3000 feet of film depicting the treatment of the early Christians in Rome. In 1898 a purpose-built movie studio was added into the top floor at the rear of the building. It was lit from the top and sides by glass to provide adequate natural light for filming and included a dark room studio for editing films. The space is now considerably modernised and the original doorways have been bricked up. The west side of this area was occupied by offices, now incorporated into the stairwell. As the first major film production unit in Australia, the Limelight Department was commissioned to film the two major public events of Federation: the inauguration of the Australian Commonwealth in Sydney on January 1 1901 and the procession and flag raising of the first Federal Parliament at the Melbourne Exhibition Building on 9 May 1901. The Salvation Army Temple is socially significant as the focal point of the Salvation Army in Melbourne since it became the Australasian Headquarters in January 1895. The Salvation Armys newspapers the War Cry and Young Soldier were printed on machinery in the basement from 1895 until 1902. The building has a continuous association with charitable work, from its origins as the Young Mens Christian Association headquarters in 1890 to the continuing work of the Salvation Army in the centre of Melbourne today. The galleried auditorium demonstrates the Salvation Armys requirement for a meeting and rallying space. The Salvation Army Temple is historically significant as the home of the Limelight Department. The Limelight Department successfully used glass slides as part of their music and oratory lectures all around Australia from the early 1890s. The success of the Limelight Department led to the establishment of the first viable commercial film production unit (1897) in Australia. The Salvation Army Temple was the site of the first Australian purpose-built film studio in February 1898. In 1901 the Salvation Army registered the first Australian film production company the Australian Kinematographic Company. The building was the site for the 1900 production of Soldiers of the Cross, a hugely popular lantern slide and film presentation first shown in September 1900 to 4000 people at Melbourne Town Hall. Since opening as the MERCANTILE HOTEL in 1853 the establishment on the corner of King and Flinders street Melbourne has had a colourful and entertaining history. The first publican was Stephen Donovan who held the licence for just nine months before selling the goodwill to W. McDonough for the sum of £10,000 and £1,500 per annum rent. The Hotel had a further two name changes in 1867 becoming the Duke of Edinburgh and in 1868 the London and Barnarvon Hotel. The Hotel had a long list of publicans including many women. In 1915 the hotel was again renamed, this time to its current title the Waterside Hotel. In 1925 the Hotel was rebuilt. A new three level brick Hotel was designed by architect Harry R. Johnson. Downstairs there were three bars, a private saloon and lounge, and a private dining room at the north end of the building. 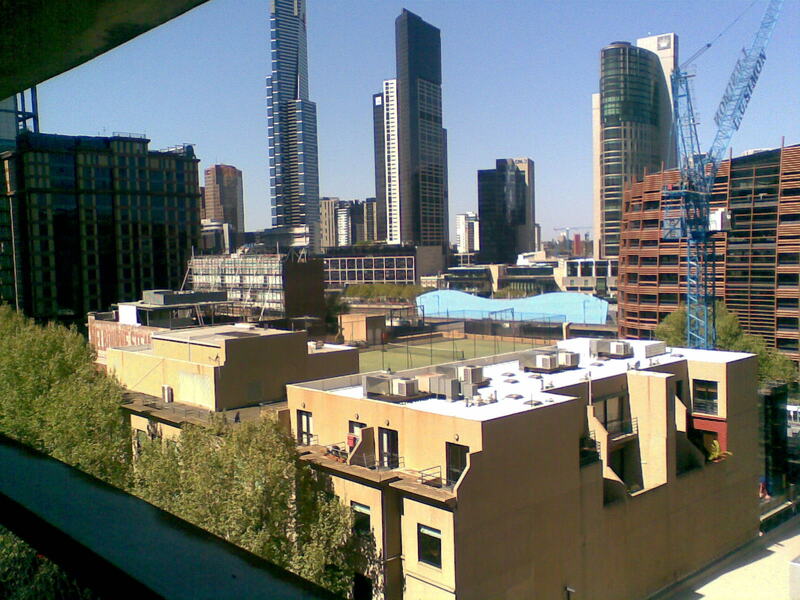 The two upper levels held accommodation for railway travellers visiting Melbourne. 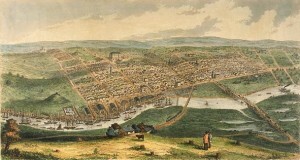 The Yarra had been widened in 1887 allowing larger ships up the river, the Waterside being the first port of call. The area had served as a port since Melbourne’s beginnings and many of the dock’s workers frequented the hotel. The opening hours were changed to 6.00am to reflect the clientele’s needs. 497-503 Collins Street, was designed by the prominent Victorian architect William Pitt for businessman Patrick McCaughan. It was built by contractors Comely and Guillam between 1890 and 1891. 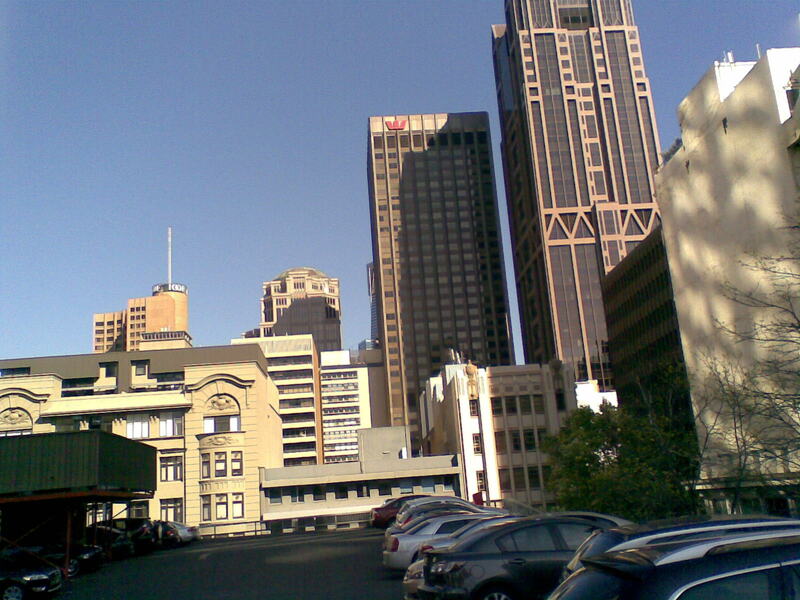 The large complex, principally built in face red tuck-pointed brick, has facades to Collins Street, the Rialto Plaza, Flinders Lane and to the redeveloped rear section of the Winfield building to the east. The five storey Collins Street facade forms a screen to the major section of the building at the rear, a six storey arcade of small warehouses. The Collins Street facade is a distinctive version of the Venetian Gothic palazzo style. This polychromatic facade, with a diverse range of decorative materials including cement, ceramic tiles and pressed zinc, forms an integral part of the Rialto precinct, a highly significant group of five late Victorian buildings. Pitts version of the Gothic was inspired by the style of the Gothic palazzo mercantile exchanges of Venice. The long east facade is now incorporated into an atrium, and faces the new Winfield Building finished in a sympathetic style on the opposite side. The pointed arch motif of the Collins Street facade is consistently repeated in the openings of the warehouse section of the building. The whole complex is now occupied by a hotel, housed beneath a glazed atrium formed in 1984. The original bluestone cobbled laneway, which served the carts and waggons delivering wool and other products to the Rialto building warehouses, survives intact on the ground floor of the atrium. This laneway forms a U-shape by looping around under the building at the Collins Street end, and returning along the whole length of the west facade back to Flinders Lane. The building was specifically designed with the latest contemporary fire prevention measures. The plaster of internal walls and ceilings of the office section was placed on expanded metal lathing, a significant advance to traditional timber laths. In the stores area each room was compartmentalised with full height masonry walls. The stone stairs and hydraulic lifts were located in two isolated bays. Traegerwellblech fireproof flooring was employed, a system of curved corrugated iron resting on the flanges of steel joists and covered with concrete. The Flinders Lane facade incorporates a five storey corrugated iron urinal enclosure. The floors of the block are formed by the galleries, and the walls are simply formed from galvanised corrugated iron. The exact date of these toilets is not known. Pitts original plans show earth closet toilets on the roof of the building, but a later, apparently undated plan shows urinals in their current position. The architect took the trouble to incorporate Gothic pointed arch windows into the ironwork, giving a sense of unity with the brick structure. Tenants of the building in the early 1890s included the newly formed Melbourne Metropolitan Board of Works, responsible for providing Melbourne with a water and sewerage system. Other tenants included the law firm of Theodore Fink, who was a noted lawyer at many land boomer trials in the 1890s. Later tenants included the Melbourne Woolbrokers Association and in 1904 the Wool Exchange Sale Room was located on the fourth floor of the warehouse block. The Rialto Building is architecturally significant as one of the finest boom style buildings in Melbourne, and is an integral part of an exceptional group of late Victorian commercial buildings in Collins Street. The richly articulated surface mouldings, the array of Gothic windows and polychromatic brickwork to the Collins Street facade is a quintessential expression of boom period architecture. It is one of the finest examples of the commercial Gothic style successfully developed by prominent architect William Pitt. The rear section of stores stylistically echo the front office section, notably in the use of the pointed Gothic window. 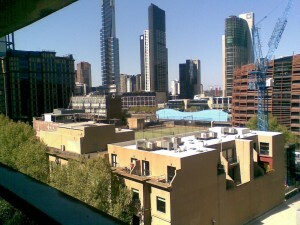 The stores are significant as a unique arrangement of warehouse space in Melbourne. The space created by the long internal facade and the narrow laneway is also unique, and despite no longer being open to the elements, the current layout retains the form, substance and atmosphere of the original layout. The Rialto Building is architecturally significant for its fire-prevention measures. Innovative technology in its construction included fire resistant expanded metal lathing for plaster and Traegerwellblech floors. The Rialto Building is historically significant as a demonstration of the building boom in Melbourne during the early 1890s, shortly before the economic depression halted building for most of the decade. The design demonstrates the new approach to office accommodation, being specifically planned for a range of commercial tenants and with shops to the ground floor of the street facade. The unusual urinal enclosures demonstrate a novel solution to the provision of sanitation in a multi-storey building. The Rialto Building is historically significant for its associations with the newly formed Melbourne Metropolitan Board of Works. It is also associated with many prominent businesses, including the law firm of Theodore Fink. Additionally, the warehouses link the building historically to the wool industry because the building was an important focal point to the wool markets and auctions as well as for storage. formerly the Wool Exchange building, 487-495 Collins Street, was erected in 1891. It became known as the Winfield Building from the mid 1920s. The architects were Charles DEbro and Richard Speight jnr. It is believed to have been built for J R Murphy, owner of Murphys brewery. Part of the financing for the building came from the architect and his father, Richard Speight Snr, a commissioner of the Victorian Railways. From 1892 to 1894 the building was Melbourne’s first amalgamated wool exchange and incorporated an auction hall which brought together all the Melbourne wool sales. Other tenants in the rear stores included the Melbourne Chilled Butter Company and Melbourne Cool Storage Co. The front section to Collins Street is all that remains of the original, much larger complex. The rear of the Winfield Building was replaced by a fourteen storey extension in 1984, part of the redevelopment of the site as a hotel. The four storey building with a facade to Collins Street was built as two ground level shops with offices overhead. It is constructed of brick on a bluestone plinth and cement render mouldings. It is in the is architecturally significant as one of the best examples of the Queen Anne style in Victoria. In contrast to the Gothic and classical modes, the Queen Anne style was employed only sparingly for Victorias commercial buildings in the 1890s. However, the style was well suited to the flamboyant and confident designs favoured by commercial developers during the so-called boom period. It is one of architect Charles DEbros finest buildings. The Winfield Building is architecturally significant for its unique spatial relationship to the adjacent Rialto building, with which it formed a narrow laneway. Together they form an integral part of the exceptional block of late Victorian boom period buildings in Collins Street.The Winfield Building is historically significant as the location of the amalgamated Wool Exchange. The wool industry and its stores was a dominant force in the west part of the city and the Winfield Building became a focal point for the industry from the early 1890s. The Winfield Building is historically significant as a demonstration of the building boom in Melbourne during the early 1890s, shortly before the economic depression halted building for most of the decade. The design demonstrates the new approach to office accommodation, being specifically planned for a range of commercial tenants and with shops to the ground floor of the street facade. Was erected around 1930 above the premises of the Herald & Weekly Times, then publishers of the Herald, the Sun News-Pictorial and the Weekly Times. The Herald Sun neon sign consists of nine discrete metal-trough letters, each containing white neon and measuring 2 metres in height. In 2005, the sign was restored after the publishers vacated the building and it was converted into apartments. During the course of restorations, several letters were stolen and so new letters had to be manufactured. The sign is currently in excellent condition and is illuminated regularly. is undoubtedly Melbourne’s favourite heritage neon sign.Audrey the Skipping Girl was erected for Nycander & Co. Pty Ltd. (who owned the brand Skipping Girl Vinegar) in 1936. Despite becoming a much-loved Melbourne icon, the original sign fell into disrepair and was removed in 1968 when the company’s factory was relocated.A replica sign was re-created by Whiteway Neon for the Crusader Plate Company in 1970, in an attempt to salvage the icon. (The vinegar company had moved to Altona without a desire to keep the sign). Crusader’s new sign was placed in its present location above their factory, which has since been turned into offices and apartments. The sign’s design was somewhat altered from the original.The sign was illuminated until 2002 when the sign’s owners decided to cease funding and maintenance.In 2008, the National Trust of Victoria ran a successful campaign to raise funds to have the sign illuminated again. In 2009, the sign was fully restored by Delta Neon of Melbourne. As of 10 June 2009, the sign has been regularly illuminated and all three skipping sequences can be seen again. An electricity utility has donated “green electricity” to power the neon. The Pelaco spectacular is one of the few large-scale animated signs remaining in Melbourne. It’s monumental size makes it quite a landmark, and being positioned on a tall building on top of a hill, can be seen across many suburbs! 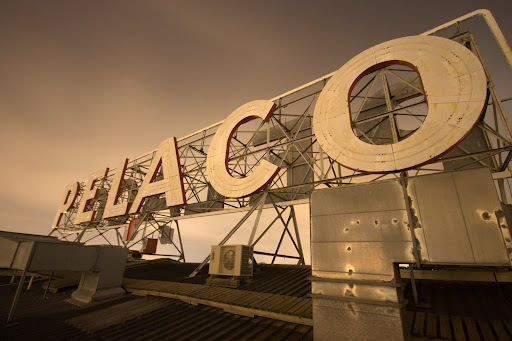 The Pelaco sky sign was manufactured in 1939 by Claude Neon for the Pelaco shirts company, who owned the factory upon which it was erected. The sign is simple in design having massive metal-trough letters that spell out the word “PELACO”. After Pelaco left Richmond, the sign fell into disrepair and even become the subject of an ownership dispute when the sign was nominated for inclusion on the Victorian Heritage Register. The Pelaco sign was restored and re-illuminated (minimally lit) in 1997, and is now illuminated. The Pelaco sign is listed on the Victorian Heritage Register (File No. 1149) and classified by the National Trust (File No. B6428) as being of “state significance”. The CBD district is of Middle Palaeozoic age belonging to the Silurian and Devonian periods (354-441 million years ago). However, these rocks are overlain in wide areas by much younger rocks, mostly of Tertiary and Quaternary age (2-65 mya). The oldest rocks of the bedrock are Early Silurian in age (441 mya). They outcrop on the west side of Melbourne in the Maribyrnong Valley around Keilor where they are called the Springfield Formation, and in the north-east around Warrandyte, where they are known as the Anderson Creek Formation. Fossils are uncommon in these formations. Younger rocks are found east of Keilor and south of Warrandyte, ranging in age from Late Silurian (418 mya) are found in the city area (the Melbourne Formation) to Early Devonian (384 mya) at Lilydale (the Humevale Formation). These Palaeozoic rocks are steeply dipping sandstones and siltstones, with a small occurrence of limestone at Lilydale – the Early Devonian Lilydale Limestone. The Silurian rocks were deposited in deep water, whereas the Devonian rocks, which are highly fossiliferous, seem to have been deposited in shallower water. These Silurian and Devonian rocks were folded into a series of anticlines and synclines in the Middle Devonian during a folding event called the Tabberabberan orogeny (about 380 mya). The axes of the folds trend approximately north-north-east to south-south-west. In places the rocks are broken by faulting. 1960?s: Gravure House’. Home Beautiful. Griffiths Brothers tea merchants: The building was commissioned by well-known Melbourne tea merchants, Griffiths Brothers and was used as their new store and sales room for teas, coffees and cocoas. The building’s design reflected the red brick Romanesque Revival style popular at the time in Flinders Street and Flinders Lane, with a façade of decorative render bands, an upper storey colonnade and giant arcade order with oriel elements. 1960?s:Gravure House’. By the mid 1940?s, the Griffiths was leased to Verona Press and became a printing headquarters. As the Herald empire expanded, the building was acquired in the mid 1960?s by the Herald and Weekly Times who renamed it ‘The building was fully occupied by various Herald subsidiaries and publications including Colorgravure Publications, United Press and Home Beautiful. 1995:Herald and Weekly Times sold and moved to new buildings in 1995,. 1999:Hotel Lindrum opened its doors on 12th July 1999. Hotel Lindrum brought to the city a new concept in Melbourne luxury hotels, being amongst the first boutique hotels to enter the market. Hotel Lindrum Today: Hotel Lindrum has incorporated aspects of its heritage in present day operations. The billiard room features one of the original billiard tables from the buildings days as Lindrum’s Billiard Centre. It has been lovingly restored to its former glory by Alcock, Walter and Thompson, the company that originally built the table. Memorabilia of Walter Lindrum in his championship era adorn the walls of the billiard room. In memory of even earlier years, Griffiths items are displayed in the bar and guests receive a complimentary newspaper each morning.